Mussolini wasn’t so bad. He started out as a socialist, after all, didn’t he? And as director of the party’s newspaper, Avanti!, he was firm in his opposition to Italy entering the First World War, at least until his sudden change of heart of 1914, which may or may not have been facilitated by sums of money secretly paid to him by the French to promote the cause of intervention. As director of the newly founded Popolo d’Italia, following his expulsion from the Socialist Party, Mussolini became one of the most influential pro-war voices in the country, but seeing as the eventual intervention cost Italy a mere 750 000 lives, this wasn’t so bad. After the war, Mussolini organised a great number of disbanded veterans – to whom the state, brought to its knees by the conflict that he had so ardently advocated, could offer no prospects – into armed squads and employed them in a campaign of intimidation and violence against socialists and communists, unionists and anarchists, with the direct support or acquiescence of landowners, industrialists, the police and several sectors of the state. Socialist member of parliament Giacomo Matteotti described in 1921 to the assembly a typical incursion in his electorate: the trucks loaded with fascists rolling into town, always careful to greatly outnumber their victims; the circling of the house of the local political or union leader; his abduction and torture, including the simulated drownings that are so popular nowadays, frequently followed by the forced administration of castor oil, with the symbolic humiliation that it entailed. Matteotti couldn’t know this at the time, but what he was describing were the circumstances of his own abduction and murder, three years later, at the hand of one such squad. Or the beating that led to Giovanni Amendola’s death, and countless others. Cowardly acts, all. But were they really so bad? After Mussolini seized power, in a mock revolution that was negotiated with and authorised by none other than the king, he sought to limit the actions of the blackshirts, opting for more subtle means of securing consensus and manipulating elections. Now that he controlled the state apparatus, he no longer needed to set fire to a trade-union branch or a newspaper office to silence the people within: he could get the police and the prefects to shut them down instead. And this he did, at first slowly, then with great alacrity after a failed attempt on his life in 1926, whereupon he dissolved all political parties, cancelled all passports, shut down all anti-fascist publications, created the secret police and introduced the practice of internment, the death penalty for all crimes against his person and a special tribunal for prosecuting his opponents. None of these measures were so bad. It is at this time that Antonio Gramsci was arrested. At his trial, for sedition and other crimes, Mussolini’s prosecutor famously called for ‘that brain of his to be silenced for twenty years’. The judges sentenced him to twenty years and four months of imprisonment. They did everything but kill him: he died of a brain haemorrhage in 1937, aged 46, six days after being released on account of the seriousness of his health conditions. If Mussolini wasn’t so bad at home, he was even less so bad abroad. Bothered by the ambition and restlessness of blackshirt leader Cesare Maria De Vecchi, he sent him off to Somalia to act as the new governor, where De Vecchi initiated a campaign of terror and enslavement of the local indigenous population, made all the more brutal by the fact that if a slave died on the job, the Italian landowner would suffer no financial loss whatsoever, but could apply for a replacement to be supplied free of charge by the colonial authority. And then there was the young colonel Rodolfo Graziani, who Mussolini put in charge of consolidating and expanding the Italian presence in Libya, for which end he resorted to mass deportations, the indiscriminate bombing of mujahideen fighters and their families as they fled towards the Algerian border, and the concentration camps in which as much as one fifth of the entire population of Cyrenaica perished. These not-so-bad methods convinced Mussolini that Graziani was the right man to lead the fight against Ethiopia, a country that he was determined to conquer in order to turn Italy into a proper imperial power. And conquer it the Italian army did, after a campaign of unprecedented ferocity that involved the at first sporadic, then systematic use of mustard gas – a breach of the Geneva convention expressly authorised by Mussolini – and in which buildings and camps bearing the symbol of the red cross weren’t spared. At one point in the invasion, frustrated by the stubborn resistance of the invaded, Mussolini even instructed his commanders to employ bacteriological weapons. However General Badoglio successfully dissuaded him on the grounds that the backlash in the region and among the international community from such an unprecedented move would likely negate any advantage on the ground. Italians weren’t so bad either, and after the fall of Ethiopia they tributed il Duce his greatest accolades. If news of the methods employed on the battlefield filtered back home – as they certainly must have, since they had a multitude of witnesses – this doesn’t appear to have perturbed many. In fact, Italians aren’t so bad to this day, as evidenced by the fact that the butcher of Ethiopia and Fezzan, Rodolfo Graziani, was honoured no later than last year with a mausoleum and memorial park in his native Affile, built at the taxpayers’ expense. 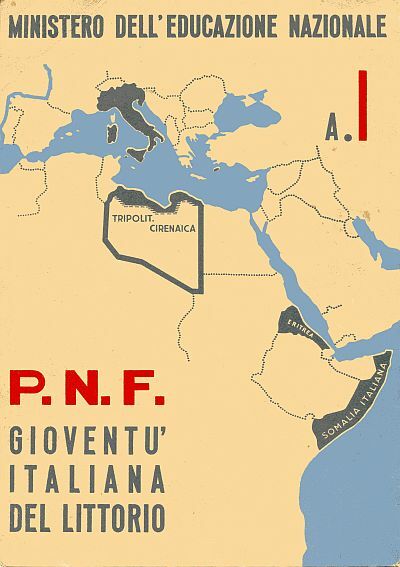 In this, the cover of a primary school report that was issued to all schools in the kingdom, we see a comparison between the territory controlled by Italy in the first year of the Fascist Era (1922) and the eighteenth (1939). 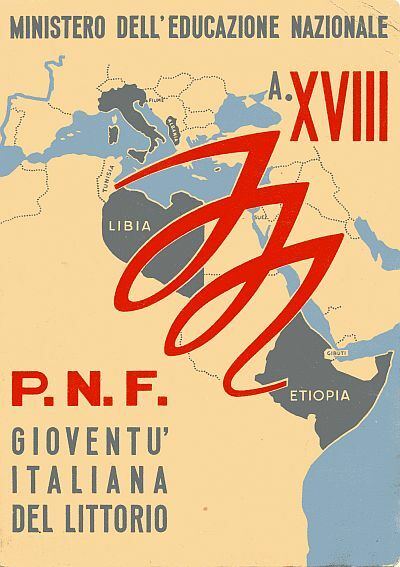 The red M for Mussolini elegantly links the now more extensively controlled Libya to the newly conquered Ethiopia. The evidence of Mussolini not being so bad comes thicker and faster as the end of the regime draws nearer. The massive and bloody contribution to the civil war in Spain that is likely to have tipped the conflict in Franco’s favour; a host of ruinous economic policies at home; the late entry in the Second World War alongside Hitler so that Mussolini could find, as he put it to his chiefs of staff, ‘the few thousand dead I need to sit at the negotiating table’; ethnic cleansing in Slovenia; the decision to attack Greece on the grounds that they seemed so weak – ‘We’ll break their backs!,’ he thundered – turned disastrous as the army was sent totally unprepared into the mountainous north during the winter; the even more catastrophic adventure in the Soviet Union. In the space of two years, a nation that was meant to pluck an easy victory on the Germans’ coattails crumbled ahead of its more powerful ally and would soon be ravaged by civil war and occupation, with Mussolini, himself the figurehead of a puppet state, presiding over the deportation of hundreds of thousands of soldiers and workers so that the Germans could use us at least as slaves, since we had proved so useless as friends. And then, of course, there were the Jews. This is the single, partial concession that Berlusconi makes. That the racial laws of 1938 were Mussolini’s mistake, tempered by the fact that he never really subscribed to Hitler’s supremacism. But our role in the Holocaust wasn’t at first ‘wholly conscious’, and Mussolini entered the war almost to moderate the excesses of the Germans, who were, as everyone knows, Worse Than Us. We, all of us, not just Berlusconi, have always clung to those three words. Our collective and historical memory of those years is founded on acts of guilt displacement. I recall this episode, which I thought I read in Primo Levi but this week was only been able to find in a testimony by Liliana Segre. She tells of the day when the Jews were led out of the penitentiary of San Vittore, in Milan, where the common prisoners saw them. ‘They cried “God bless you, you’ve done nothing wrong.” They saw us from their cells and they tossed us oranges, biscuits, gloves, anything.’ By contrast – although I read this elsewhere – in the streets of the city on their way to the train station they were met by closed windows, drawn curtains, and a deathly silence. That is who we were. The contrast to what happened inside the prison tells us that that silence outside of the prison must not be mistaken for meek, fearful acquiescence: it was active collaboration. And besides, history proves that we were capable of appalling, unbridled ferocity given the chance. Of this the nation has almost no memory. Our curtains are still drawn. But this isn’t passive ignorance either: it had to and still has to be carefully cultivated. Berlusconi’s remarks must be understood within this context: not as a ‘gaffe’, as some in the international press have suggested, but as a calculated statement designed to attract consensus by making a precise, familiar and comforting historical claim: that Mussolini wasn’t so bad, and therefore that we weren’t, and aren’t, so bad ourselves. Some of the atrocities listed in this post are compiled by historian of colonialism Angelo Del Boca in his excellent Italiani, brava gente? For the book and our many conversations on this subject, I thank Giacomo Lichtner. A chilling post. Equally scary is how fascistic tendencies and trajectories are overlooked, or not recognised as such (as if we don’t have the lessons of history in our archives and our memories), if they’re not, at least obviously, anti-Semitic. In Italy anti-semitism, like the Roman salute, is the overt marker of the crudest forms of neofascism, and even those strata of the Right – those that gravitate around the Casa Pound organization – are learning to dissimulate or dress up those aspects. The far larger issue in terms of recognising fascistic tendencies is the appalling ignorance of what Fascism actually was historically, which is partly the consequences of political-instutional decisions. In the school system for instance studying WWII for decades was an optional, and this is how it came to be that between primary, intermediate and high school I studied the Phoenicians three times, but Fascism not at all. 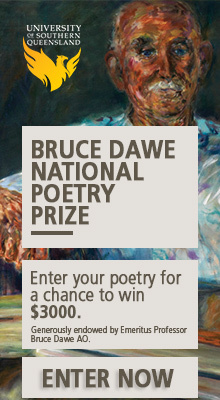 Anyone who reads – a salutary experience – the Internet blog entries by readers (or co-feelers, I am not sure they can read) of Bolt, Blair, Akerman, Devine (Murdoch press), Pickering and Michael Smith in AU in January 2013 can in theory smell once more the paramilitary street-fighting New Guard movement of the early 1930s in Australia. In Sydney, there were ca. 50,000 ex-soldier members in a then population of about 1m. Why “in theory”? Because already in the 1960s or 1970s, there was no recollection of this fascistic local event in Australian school curricula. Fascists and Nazis were something for Germans and Italians, and anyway, they lost, didn’t they? And now? There is a centre-wing extremism which dominates politics in AU and other (actual or de facto) NATO countries with the lie that it itself is “moderate and reasonable” , whereas Left and Right “meet at the extremes.” AKA Totalitarianism Theory. NB: in Germany in 2013, any reference by leftists to “Extremismus der Mitte” (“extremism of the centre”) meets with extreme hostility from centre and Right, for reasons that may occur: the German conservative must at all times deny any continuity whatsoever with Hitler, and equate Nazism with Communism 24/7/365. the parliament that they preach is a useful frill until such time they find it not to be. A modern example of this expedience is Clinton’s positive reaction to the bombardment of a duly elected Russian parliament by tanks in the early 90s. I wonder actually how many readers of this blog have ever heard of Col. Eric Campbell (Sydney solicitor) and the New Guard? Aftr all, the deliberate attempt by George Negus on 13.09.2004 http://www.abc.net.au/gnt/history/Transcripts/s1202889.htm to understate the facts of the New Guard with an attempt at humour: “to say the least, a pretty wild and woolly chapter in our history”) is the 80-year attempt by Oz centre-wing extremism, whether located in the ABC or not, to obscure the true nature of that extremism. So for all its capture by futile identity politics since 1990, the Left would do well to recall what occurred in the 1930s: the “Niemeyer plan” to satisfy UK bankers which Jack Lang rejected in NSW came back again in 2008 to descend on Iceland. But unlike in Sydney, there was no New Guard in Reykjavik in 2008, and so Iceland has successfully resisted the City of London. Debt slave readers in AU, where the average mortgage is around AUD 300,0000, might like to ponder these facts. Giovanni, I recently read Perry Anderson’s pieces on Italy in ‘The New Old World’. In these, he discusses the fact that unlike in Germany after the war, where there was significantly more destruction of the fascist apparatus, in Italy it was allowed – with the blessing of the PCI – to remain intact. He then traces the ongoing effects of this compromise all the way to Berlusconi. Thought it was a pretty good piece. The amnesty of 1946 – passed in the name of national reconciliation – was signed off by PCI secretary Palmiro Togliatti, who was Minister of Justice of that government. The party had less of a role in leaving the apparatus in place though. As late as 1960 for instance the near-totality of the prefects in the country were still people who had been installed during the regime. We should bear in mind that international pressure plays a role here as well. The Allies simply wouldn’t have tolerated this kind of conservation on the parts of the Germans, whereas Italy had quite a different strategic function. What best way to ensure that it remained on the anti-communist side than to leave a few fascists in key positions? Graziani’s case is quite emblematic in this respect: in spite of Ethiopia’s repeated attempts to have him prosecuted for war crimes by an international tribunal, he was only tried domestically and so our authorities were able to pardon him (he served 4 months out of a 19 years sentence). Africa never got its Nuremberg, and for this the Allies have precise responsibilities as well. I can’t recall the name of the rhetorical figure you have used to show how Mussolini was that bad (if there is such a figure), but it got wondering how the general impression that Mussolini wasn’t so bad might be created. I’m thinking of the popular imagination here, so perhaps, if it’s not an established and widely held social and political (commonsense, and so unquestionable) unexamined *fact* that Mussolini was that bad, the underlying dominant belief system (ideology – i.e. fascism) holds sway, and modality steps in to create a sliding scale of believable doubt. What about a sliding scale of bad leaders then, from absolutely ruthless dictators, past and present, to harmless nincompoops. Where would Mussolini fit on such a scale? Going on that relative scale alone Mussolini wasn’t so bad, the unexamined *facts* showing that he was responsible for a couple of hundred thousand deaths only. It could be claimed too on those figures that Hitler wasn’t so bad either. But fact or no fact, the list hardly justifies and excuses Mussolini’s (and Hitler’s) absolute social and political badness, as you have demonstrated. Which leaves me saying not too much at all. On that metric, Pinochet is even less bad than Mussolini, given that the number of people he killed or ‘disappeared’ stands at a mere 3,000, and post-coup Francisco Franco would be positively angelic. Which tells me we need to engage in critical analyses of what fascism was and is that are not limited to how many people it has killed. When he says that Mussolini wasn’t so bad, Berlusconi puts forward no argument. He just mentions the two worst things he did – actively participating in the Holocaust, joining the war alongside Hitler – as if they were aberrations or, worse, mere ‘mistakes’. He’s immeasurably aided in this by the fact that Italians don’t know their history. If they did, and he had to reverse the argument (so what was it that Mussolini did that was good?) he’d get into some trouble. So interesting how leftists today, because they are the status quo, have to keep harking back to the days when they had a real enemy in order to strike an oppositional pose. What is the author of this piece arguing? That because Italians still have a residual sense of pride in themselves they should be browbeaten by more politically correct leaders than Berlusconi? That national grovelling should reach German heights? Pathetic. If repudiating Nazism is grovelling and erecting a monument for a mass murderer is not grovelling, then I’m all for grovelling. But to each their own I suppose. Giovanni Tiso, I enjoyed your article. Regarding Togliatti and the PCI, they were eager to participate in the post-war government despite its being an imperialist capitalist government. And they accepted that international pressure played a role in leaving a few fascists in key positions as well as in ensuring that Africa would never get its Nuremberg. From the beginning the communist parties in Western Europe had a nationalistic vision, that both reflected and led the thought and practice of their members according to the nation they belonged to. Togliatti, for example, during the fascist invasion of Ethiopia, launched his famous “Appeal to the fascists”, in which he declared that his party, the Communist party, was the true bearer of the “ideals” of Mussolini’s party. Ten years later, after the war had ended, along with Nenni he demanded the restitution of the former colonies Italia had lost. And finally, almost all the Communist parties in Western Europe became eurocommunist and the Pci came to support NATO, founded in 1949 against Stalin and the USSR. Their Stalinist content had been greatly reduced, leaving nationalism and social democracy as their sole ideological base. Hosea Jaffe – “Africa. Movimenti e lotte di liberazione”, Mondadori, 1978: The Italian Socialists and Communists expressed themselves in favor of the reoccupation of Eritrea, Somalia and, for a time, even Libya, when the matter was discussed by the UN, after the war. The argument of Nenni and Togliatti’s men was that now Italy had a popular front government government, a government of the people, not an imperialist government, therefore: give us our old colonies back, so that the Italian proletariat can “take their destiny into their own hands and lead them to independence as soon as possible”. So Engels’ extremely “up-to-date” ideas were transformed into racist and imperialist arrogance. Jal Nicholl and Giovanni Tiso, I’m for repudiating imperialism not just in its Fascist and Nazist format, but also in its liberal format. The Left in Western Europe has never broken with imperialism. National chauvinism and racism in the West are the order of the day in liberal capitalism as they were in Mussolini’s regime. I am strongly influenced by Marxist and Leninist anti-imperialist thought, so I cultivate the radical anti-imperialist discipline that would never be suitable for the status quo, whereas the capitalist Left in Western Europe cultivates the endurance of the status quo, that is of imperialist practices (on an economic, political, cultural level). Liberal imperialist capitalism has turned Western “communist” and “left” parties into its pliable instruments, so to hell with them, and with Berlusconi too. One could also reasonably look at the way Italy help administer Somalia after it became independent – ie, in the most corrupt way possible – as an example of how liberal capitalist imperialism sometimes operates. “The radical anti-imperialist discipline” of Maria Cristina-Şerban as a form of resistance to liberal capitalist imperialism from within same, I take it. What makes that exempt from your own argument? How to break with imperialism? How to be on the margins without being in the centre also?